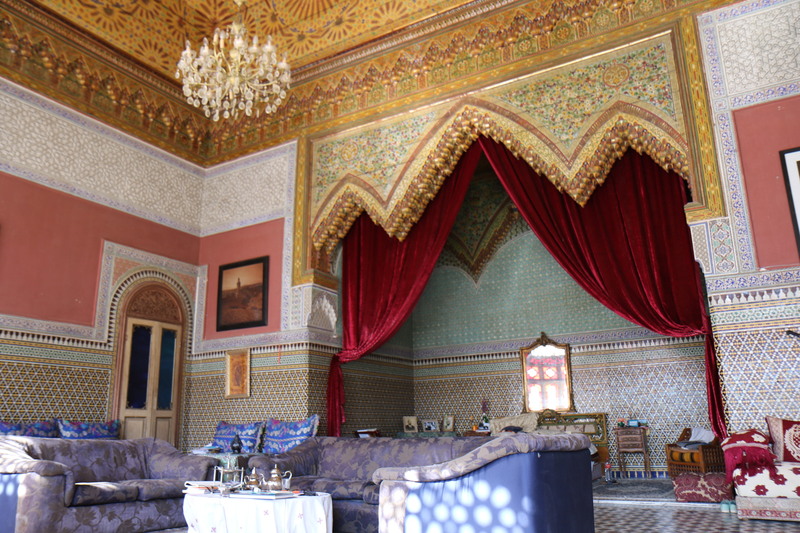 Every morning the coo and flutter of pigeon wings stir me, I pull back the red velvet curtains that separate my suite from the grand and airy salon in an apartment of the Palace El Mokri in the Ziat neighborhood of the old city of Fes in Morocco. My friends back home believe I am finally living out my Disney princess fantasy. 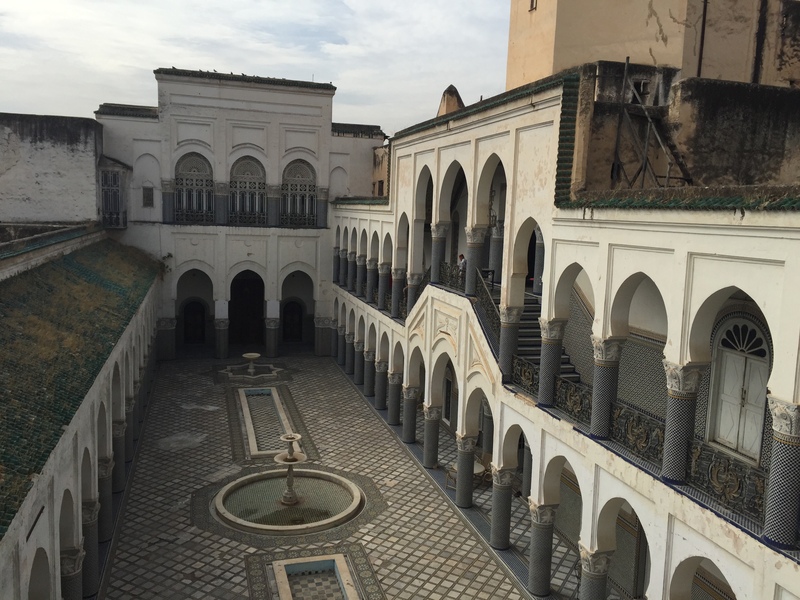 Add a Tiger named Raja, call me Jasmine, and it is a whole new world; I am living in a palace that housed the Grand Vizier of Morocco Mohammed El Mokri and his extended family. I just stumbled into living in the jaw-dropping Fesi fantasy. 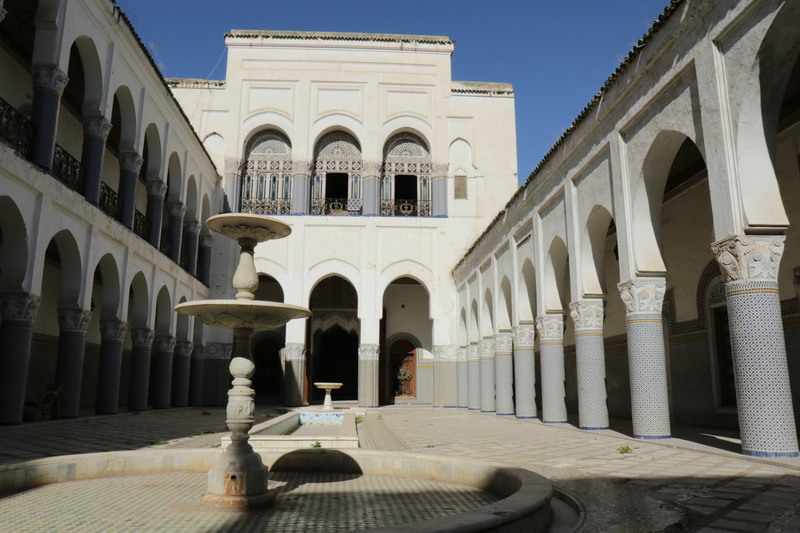 The courtyard fountains and the outside view of the apartment in Palace El Mokri built in 1906. 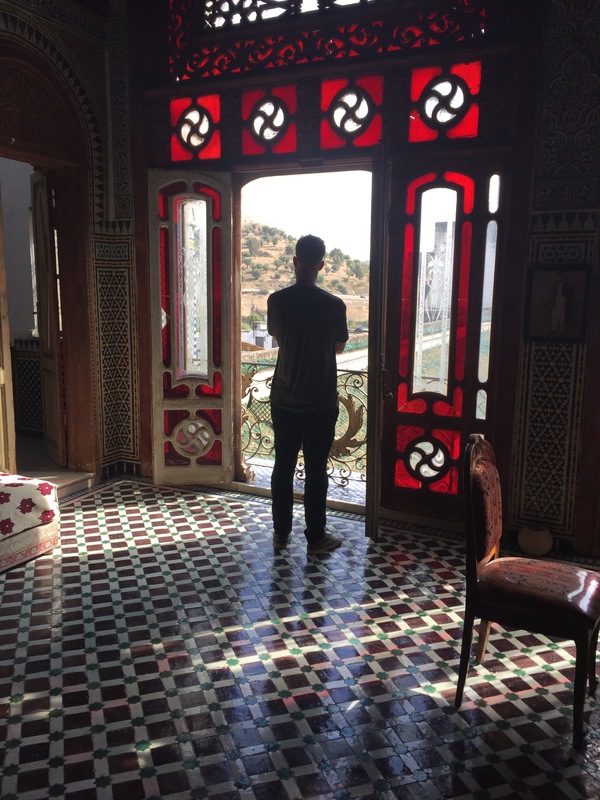 Looking for housing in Fes is typically AirB&B or by word of mouth. A fellow Fulbrighter and I had looked at seven different houses and apartments but nothing quite struck our fancy or our budget. Eventually we triedAvito, the Moroccan Craigslist. After finding a nice looking apartment that seemed to have potential, we agreed to meet the landlord. On first meeting, this young landlord named Youssef, said the apartment posted online was not available, but he had something else to show us that was available. 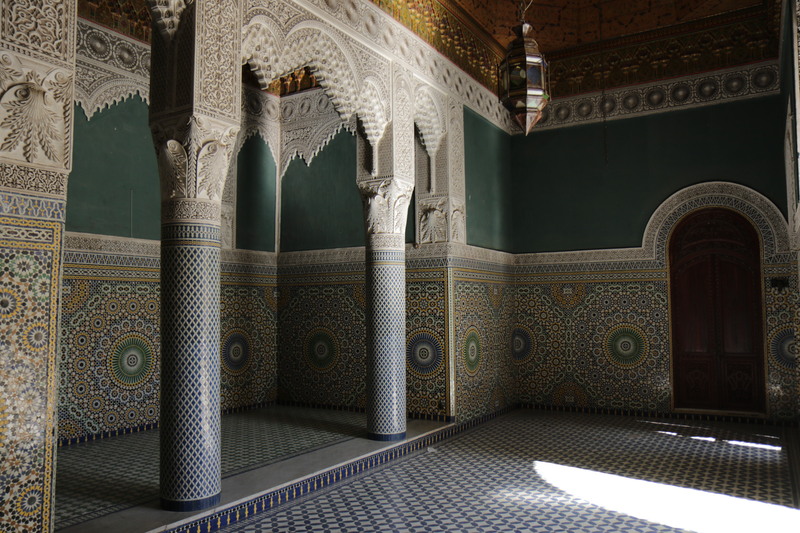 My first impressions while walking through the long hall covered in mosaics was “oh no, not another dilapidated house.” Moroccan architecture is notorious for being sneaky and not revealing its secrets until you enter the house. Upon walking into the courtyard that holds three fountains and two slender pools, my doubt about the house turned into doubt about being able to afford the place. One of the empty halls that is rented out for weddings. 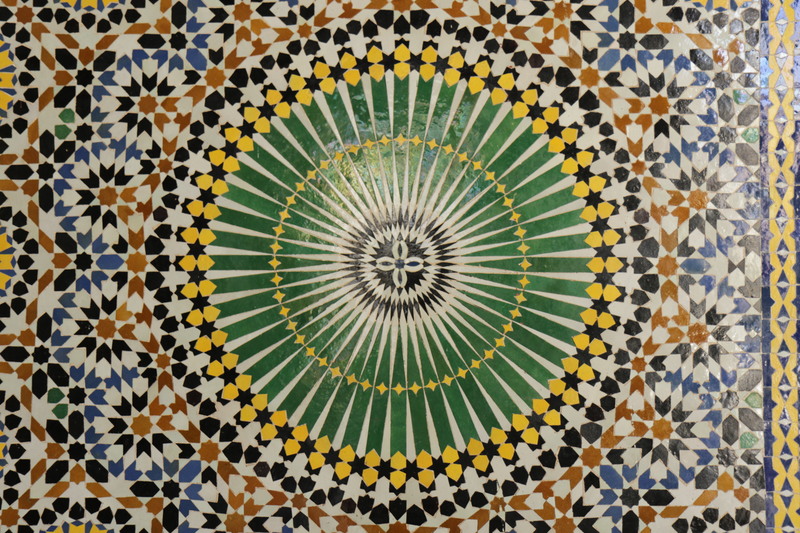 All the mosaics are handcrafted and made in Fes. Ever single piece of this is individually constructed. We climbed the stairs into the far apartment and were welcomed into the living quarters in which my first apartment in Los Angeles could fit into without the kitchen and the bathroom. 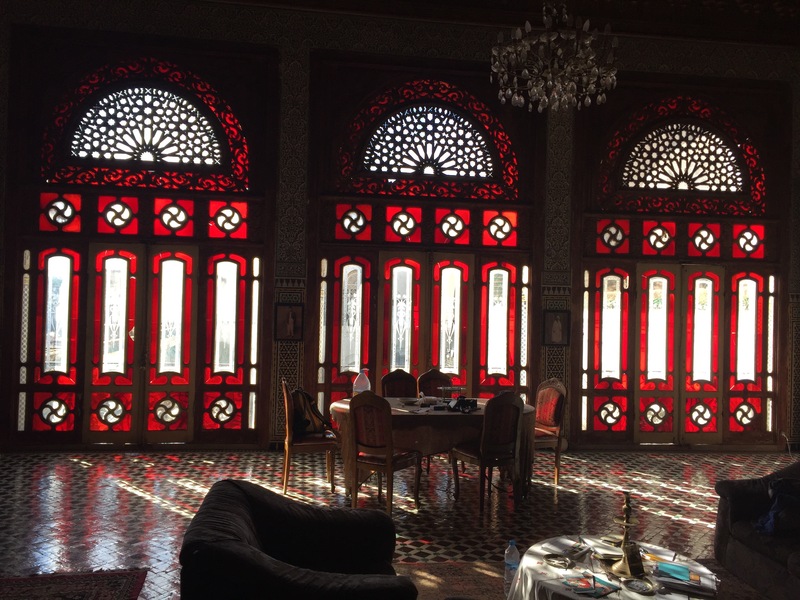 The long windows decorated with red stained glass reach over 20 feet high complemented with arches with floral plaster framing them until the carved wall touches the hand painted ceiling. Some might consider the mosaics a bit loud for their taste, but it compliments the entire room with the spectrum of colors. The grand salon and bedroom. Grand Vizier El Mokri lived in this palace with his four wives and four concubines. El Mokri is in the Guinness Book of World Records for one of the longest living men that held a government office. The musicians Sting and Bob Seger are rumored to have stayed in the apartment that I’m renting. There is a bullet hole in a panel of one of the windows when the brother of King Hassan II was attempting to shoot pigeons and he did not realize the windows were shut. El Mokri was heavily involved in the Moroccan government under French colonialism. After Morocco gained its Independence, the family was shut out from government life. Their Camelot fell into a state of majestic decline. Here and there you see some hasty repairs to the mosaics, or cementing over the wholes in the marble floors. If it wasn’t on the market for $14 million, I would give up my PhD ambitions and spent the rest of my 20s restoring this place a la Under the Tuscan Sun. Even the old chandelier that fluctuates with power at night even makes me feel like Lady Mary in Downton Abbey ready to devote my life to the upkeep of this relic. OMG! You wrote perfectly about this place! My husband and I just moved in this morning. We occupie the Groundfloor one tonight. Tomorrow, We move to the one you describe. May I share your write up on my FB pls.? Feel free to share it! 🙂 I’m so glad you like it! I was there before they renovated so many of the rooms but the Palace is truly magical isn’t it? !